Each working day your workforce management system gathers a wealth of time and attendance data. This data can be tapped into, not just for standard reporting such as payroll and absence, but many more reports can be created to inform and support managers and teams across your organisation. A recent survey found that 22% of respondents said they had been paid late or incorrectly in the previous year. More than 50% said that if there was an issue with their pay they would lose trust in their employer. 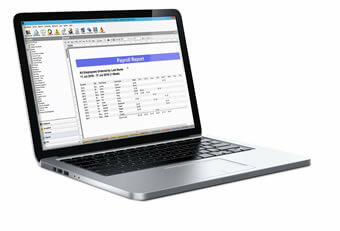 Payroll accuracy is at the heart of a time and attendance system. Businesses save money by paying only for time worked. Employees know they are being paid accurately and fairly for the work they do. Employee self-service means employees can be given more responsibility for managing their own work time. Running a payroll report is simple, click on the save icon which then displays a drop down menu from which you can choose to export to a range of payroll software including Sage, Earnie, Opera and Pegasus as well as to a .csv or Excel file. Weekly timesheet reports show hours worked, absences, etc. These can be distributed to employees if you don’t use employee self-service. Timesheet edits. To prevent timesheet fraud, reports show when and by whom clockings were edited which leaves a clear audit trail. It can be time consuming and prone to errors if holidays are still being booked and managed on spreadsheets in your organisation. 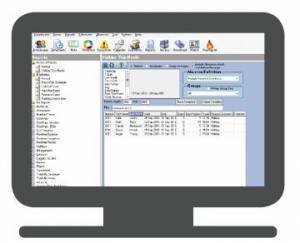 The reporting capability in our software allows you to view and manage individual and group calendars and time-off requests online. Absence rates often give an organisation early warning of issues with individuals and teams. If absence rates are high or starting to climb, staff morale could be a problem. This report shows absence by group over multiple period lengths, you can select to see multiple or single types of absence, for example sickness only. A 2012 survey found that 97 minutes were lost due to lateness per employee every month, an estimated annual cost to employers of £305 per employee. Whether you operate a zero tolerance lateness policy, or find 5 minutes here or there acceptable, you can keep accurate track of when employees clock in and out. Short-term absence can be disruptive, particularly in a manufacturing or service environment. Bradford Factor analysis is often used to monitor and manage employee absence. Bradford Factor Analysis has been used to measure persistent short-term absence since the 1980’s. Short-term absence can be disruptive, particularly in a manufacturing or service environment, (our rota and scheduling tools enable a fast response to absence for re-planning resources). Tick boxes and absence definition selections allow you to specify exactly how you want the Bradford Factor to be implemented in your organisation. Date selectors or rolling year as well as other date range options are available. A trigger score can be set, if the score is reached, records appear on the report indicating that it may be an appropriate time to arrange a discussion meeting with the employee concerned. Bradford Factor analysis can be used in back-to-work interviews and as part of annual performance reviews. These reports are accessed directly from an icon in the system’s top navigation bar. Fire Roll Call can also be automated using the Workflow Module. The time and attendance system can generate an automated printout of employees present on fire alarm activation. The report can be automatically generated from an RFID clocking terminal directly to a dedicated printer. The system can also generate the report from information held in the database and print to as many printers / locations as required when the RFID terminals or a fire alarm interface is used. Exceptions alert you to differences to expected working patterns or activity such as lateness, absences, missed clockings, failed to work target number of hours for the shift; worked unauthorised overtime. It’s easy to view and check exceptions, and edit as required. Cost Variance uses information from the Rota or Work Schedule to show the difference between actual time worked versus estimated time worked. Gross hourly pay can be added to provide costing variance. Cost Centre Hours shows time worked by employees in different cost centres. Chronologic’s time and attendance software has been developed to offer customers large and small, flexibility and choice. Reports can be created specifically to meet the needs of your organisation. For example an HR team might want to know who the First Aiders are in the organisation and when their certificates expire. This type of HR reporting could apply to work permits, hygiene certificates, Fork Lift licences, PPE issue, etc. In some cases you may want reports tailored specifically to your organisation’s needs. We can create bespoke reports for organisations looking for deeper intelligence about employee management and resourcing. Users can choose from a wide range of report parameters including, dates, individual employees, departments and cost centres. By assigning different permissions, once reports are set up they can be run, viewed and sent automatically to different departments and line managers. All reports can be viewed on-screen. Reports can be exported in Excel, PDF, HTML, RTF, TXT and TIFF formats and sent direct to selected printers or emailed to recipients from the report preview screen.